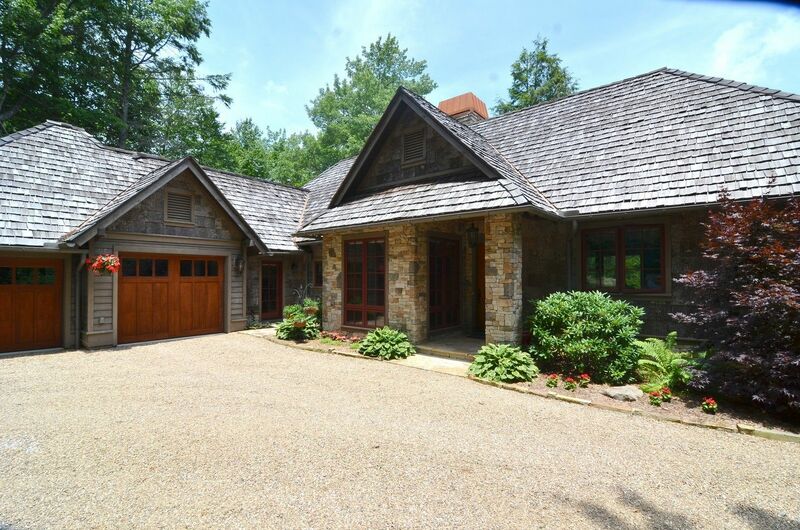 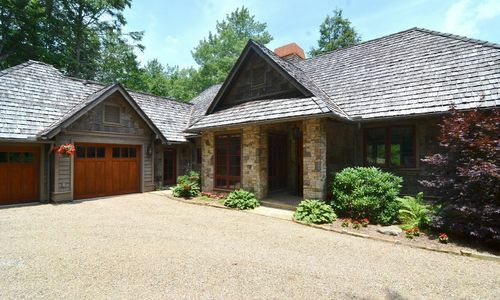 This elegant custom home designed by Al Platt is conveniently located in the beautiful community of Falling Waters, just 5 minutes from downtown. 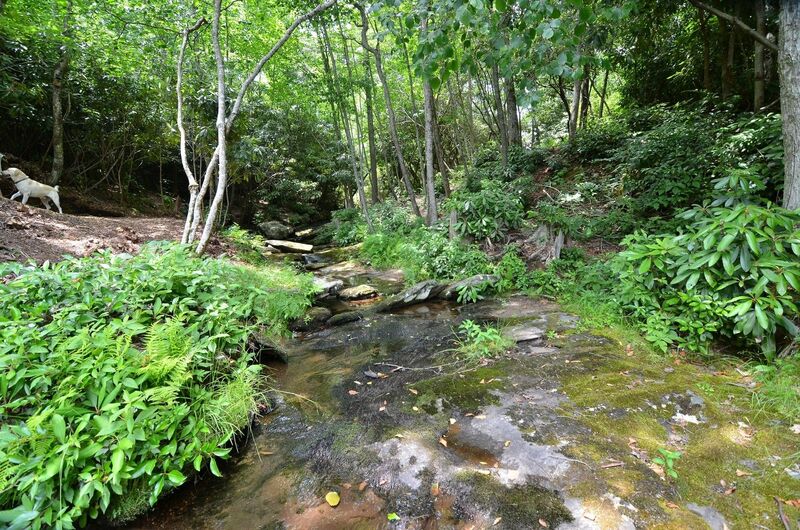 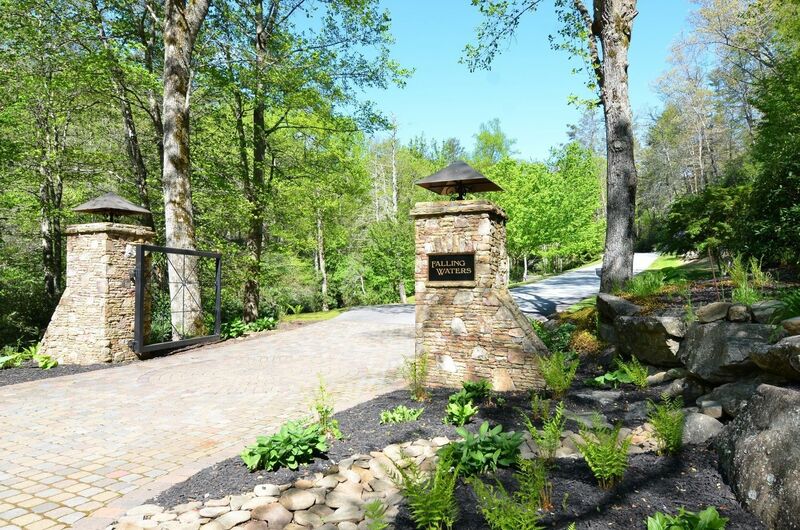 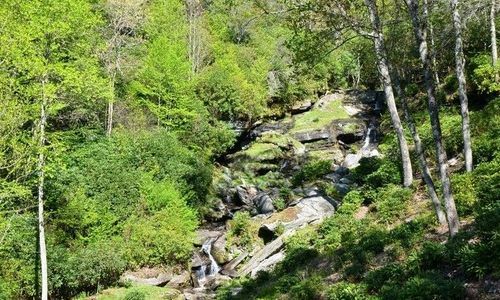 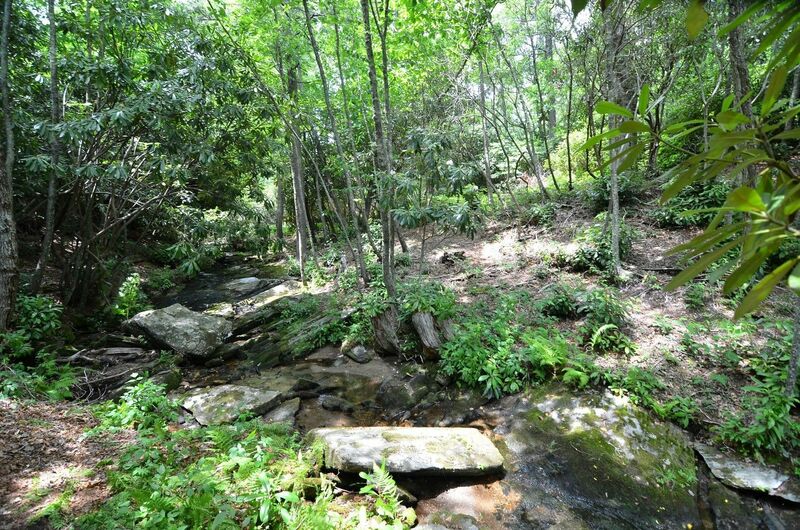 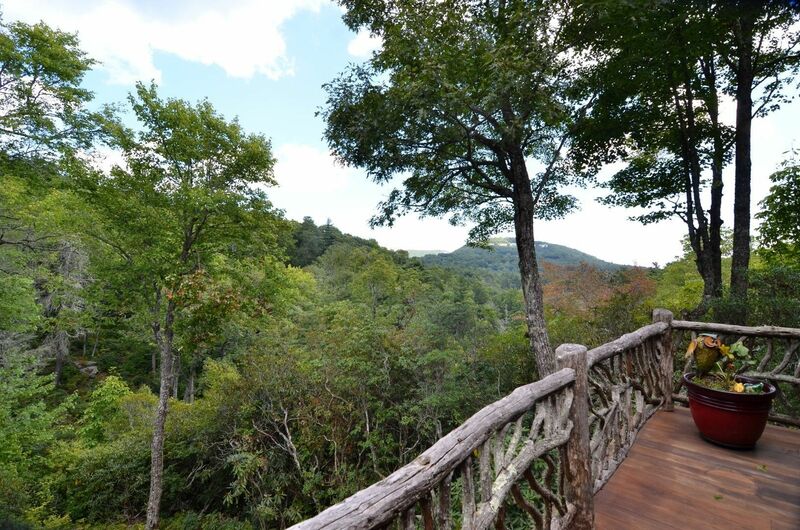 Sitting on 1.49 acres and offering an amazing waterfall as well as views of both Satulah and Little Yellow Mountain, this magnificent home is sure to be your perfect mountain retreat. 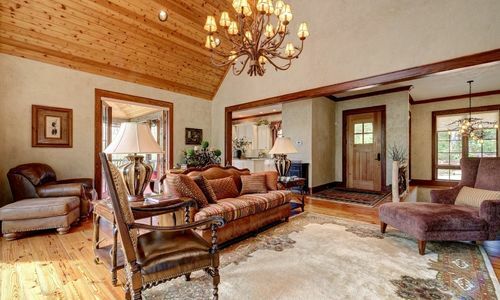 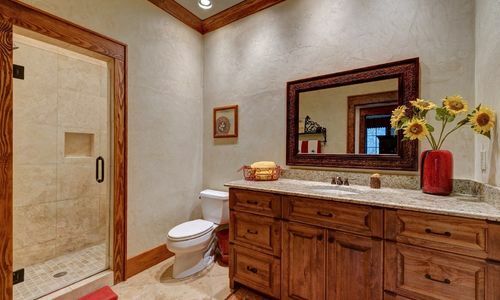 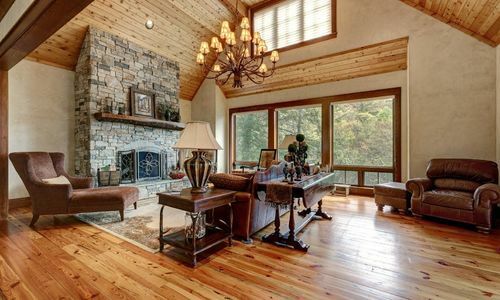 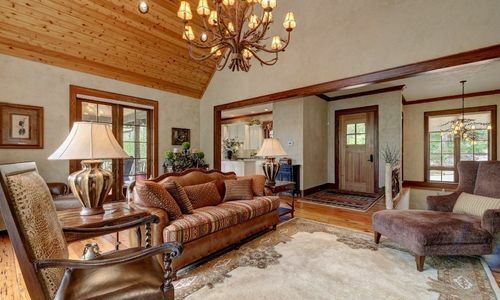 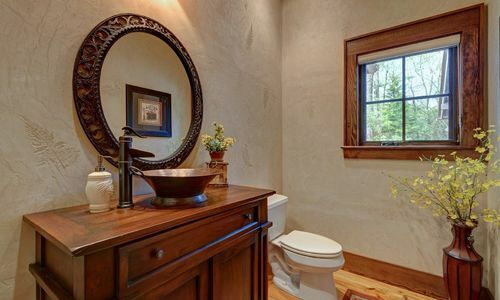 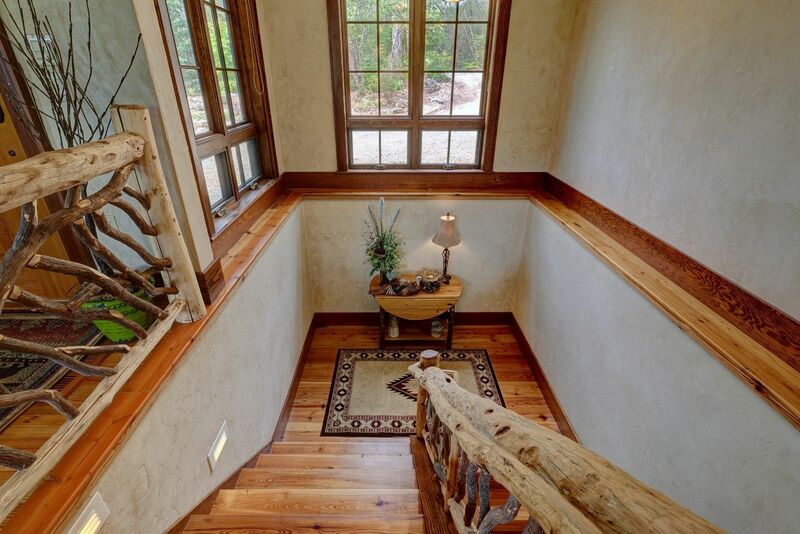 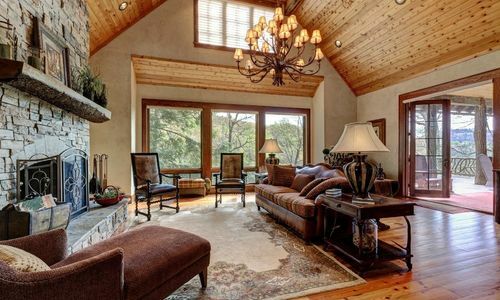 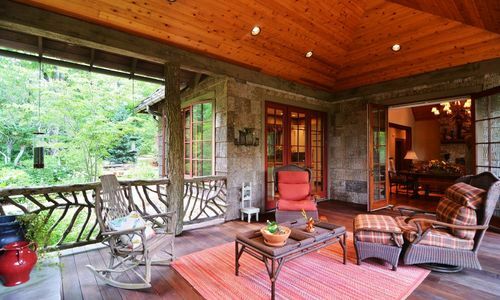 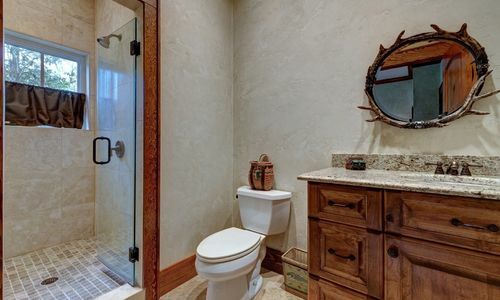 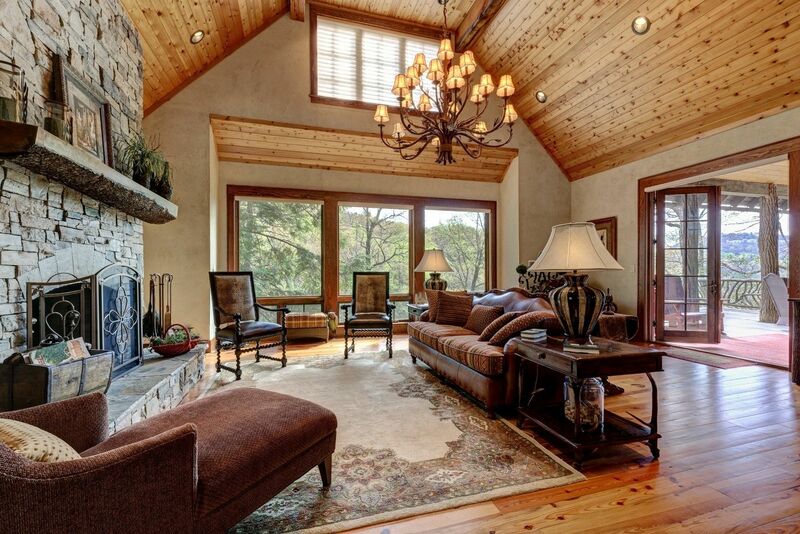 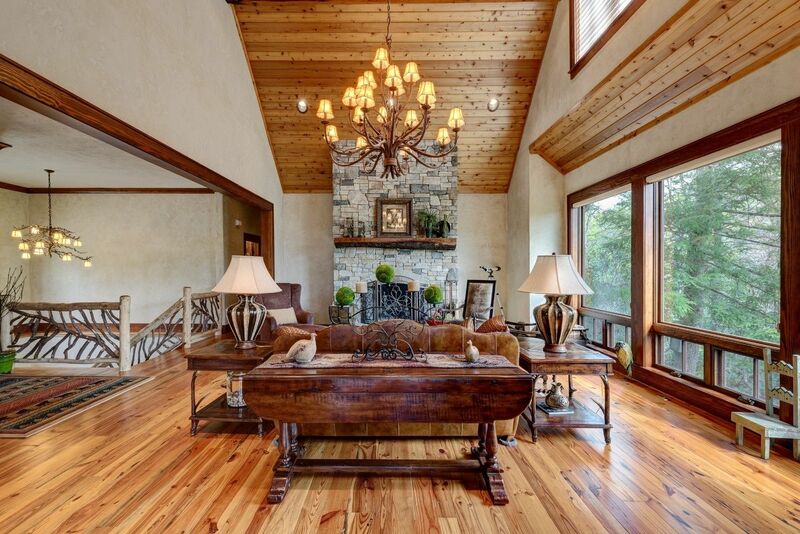 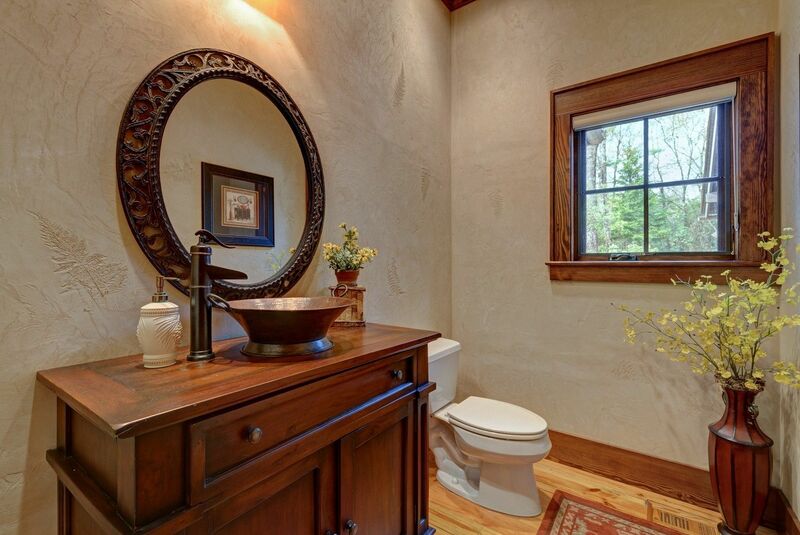 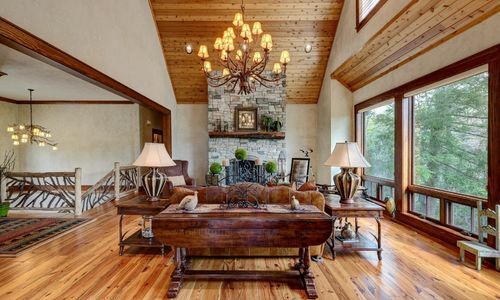 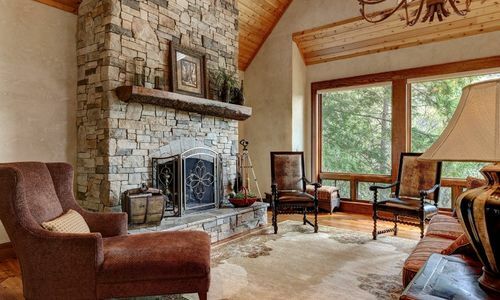 With attention paid to every detail, this home features four fireplaces, custom “old world limestone” plaster finish throughout, heart of pine flooring, locust and laurel porch accents, bark and cedar siding, cedar shake roof and Brazilian walnut decking. 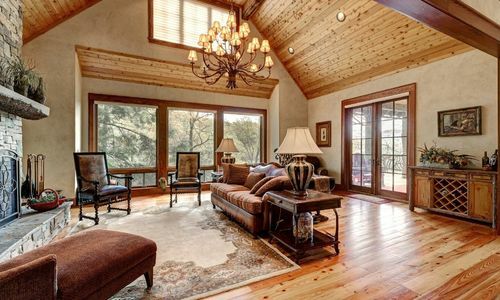 The great room features warm vaulted wood ceilings while the large windows provide an abundance of natural light and views to the outdoors. 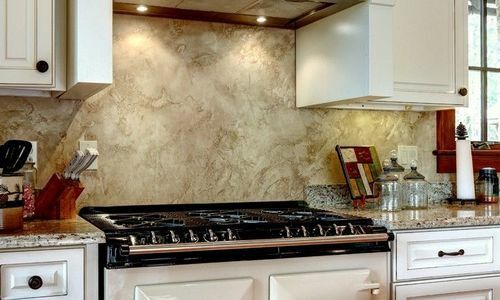 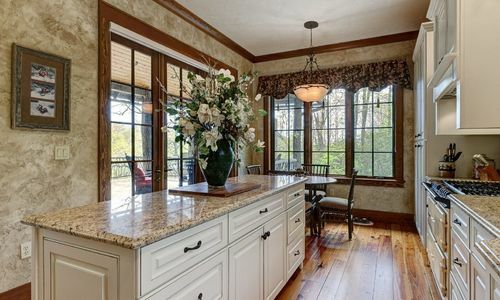 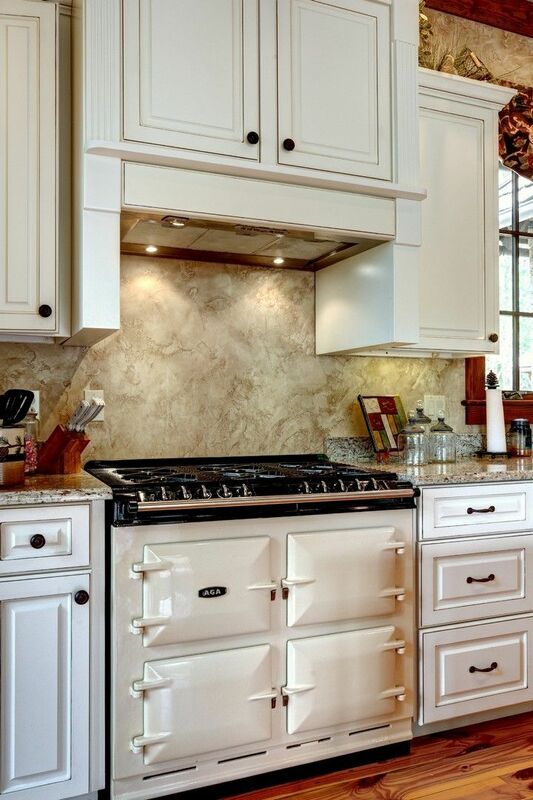 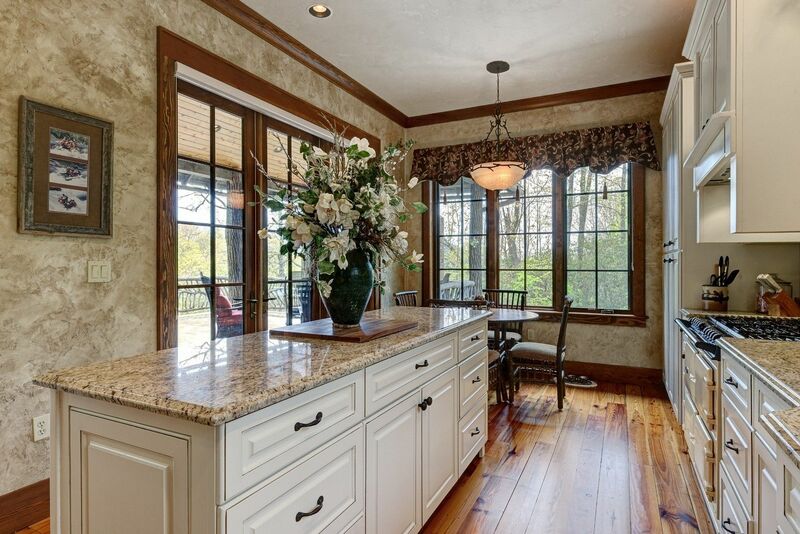 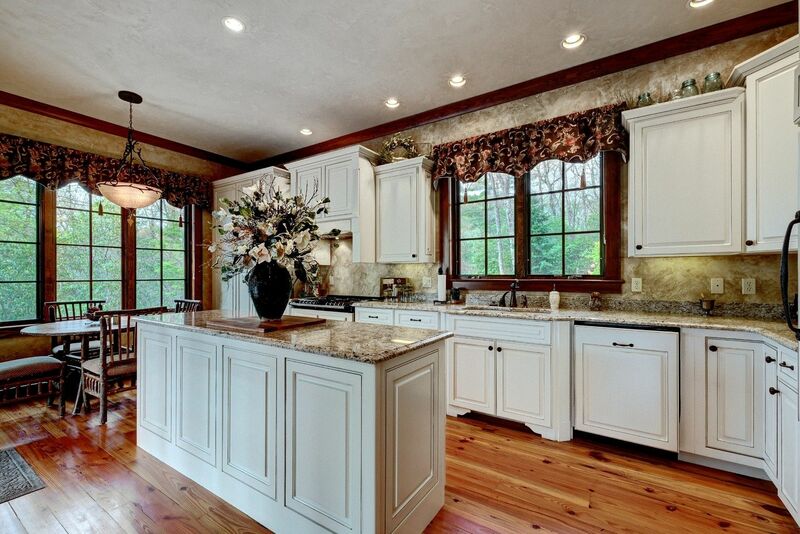 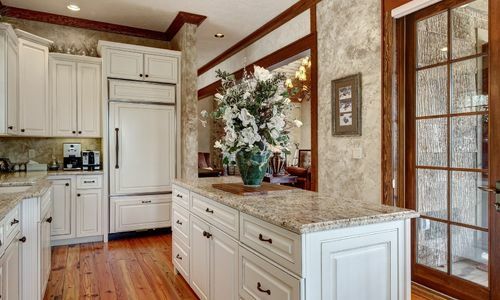 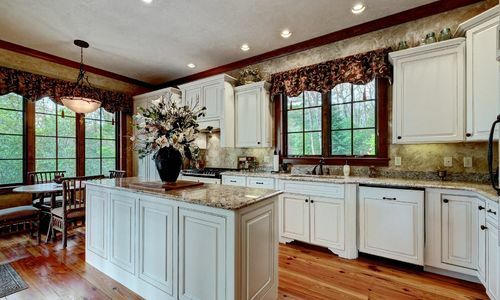 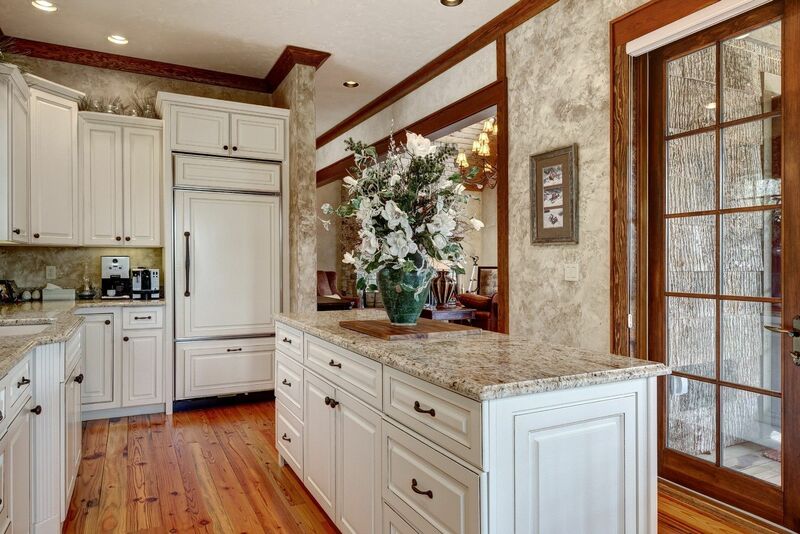 The light and airy kitchen provides ample space for preparing meals for 2 or 20. 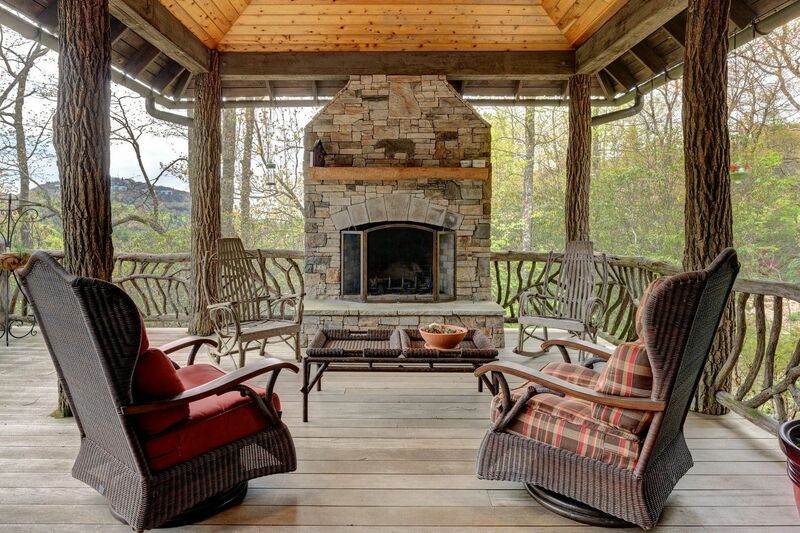 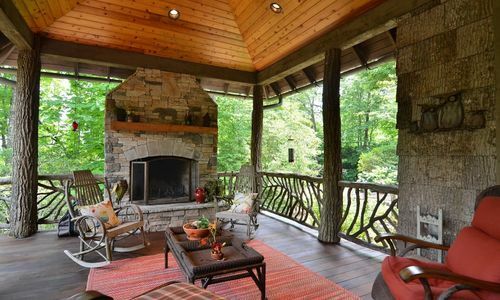 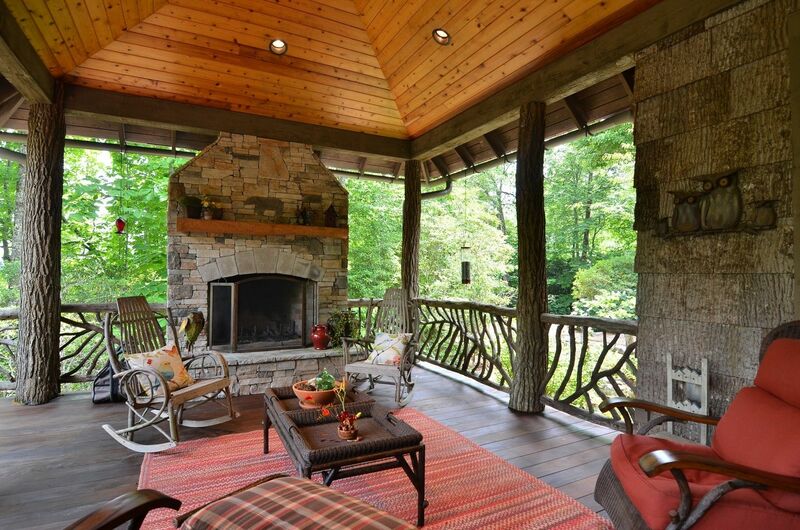 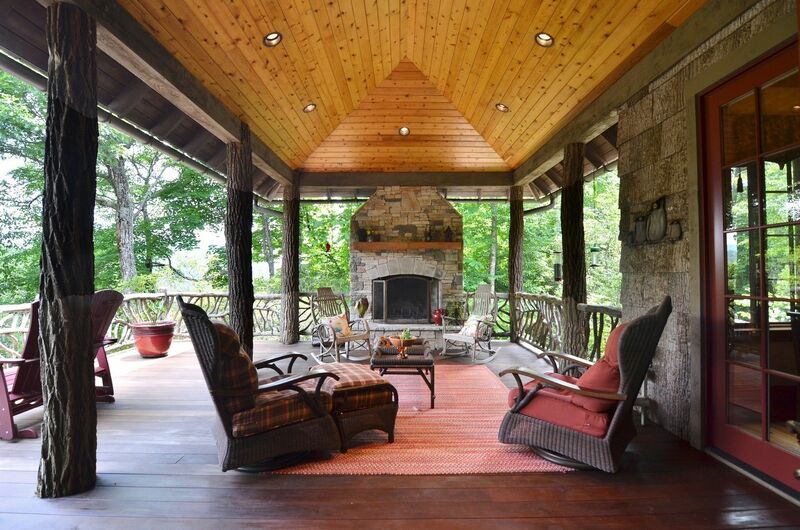 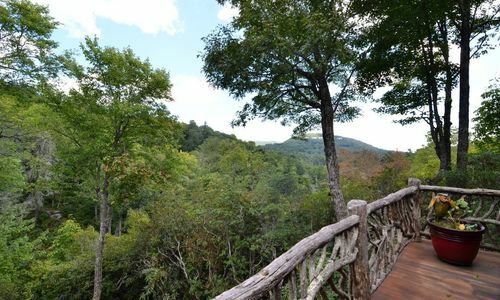 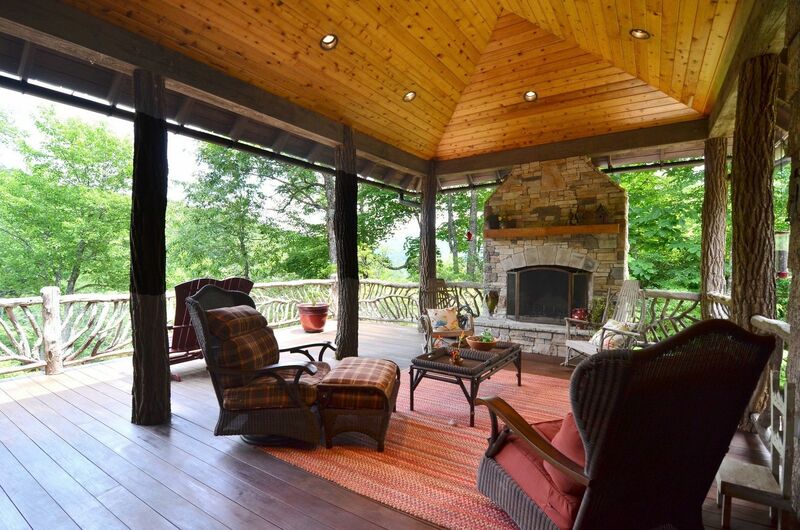 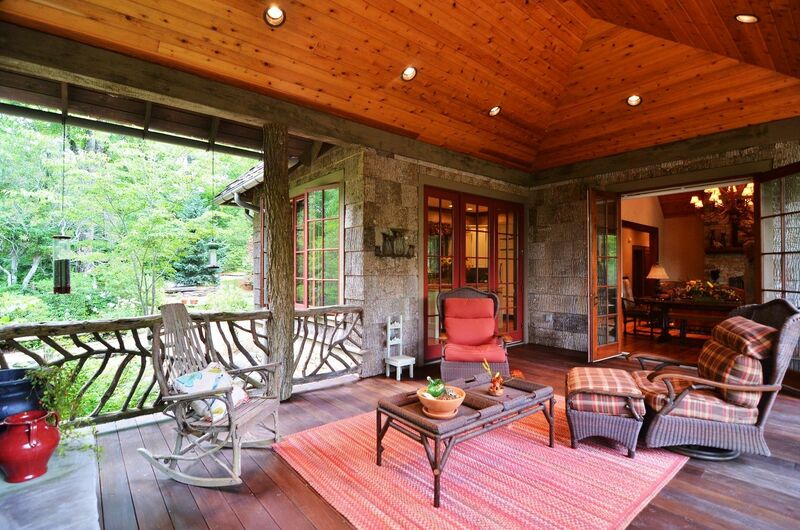 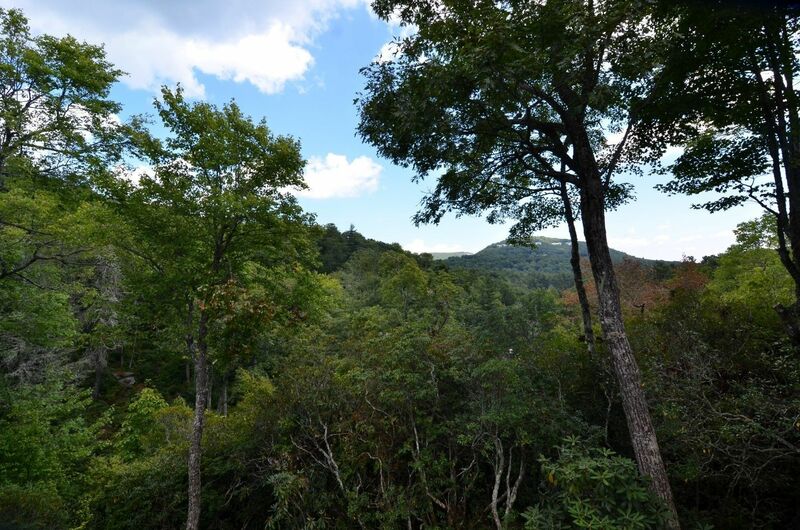 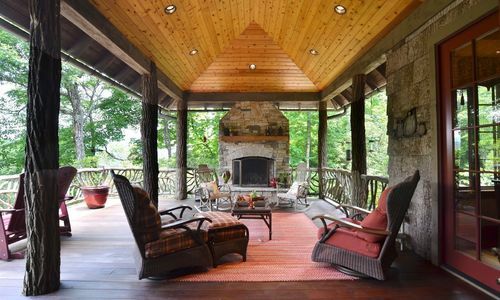 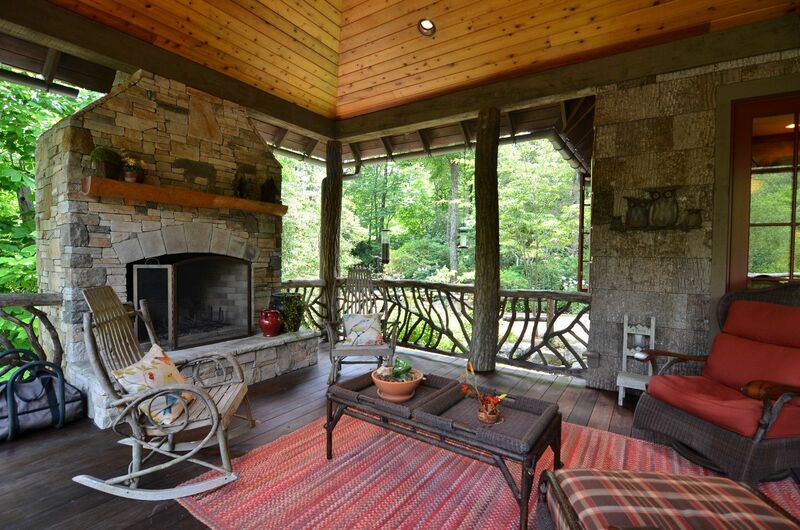 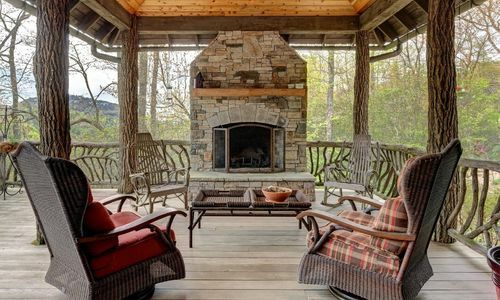 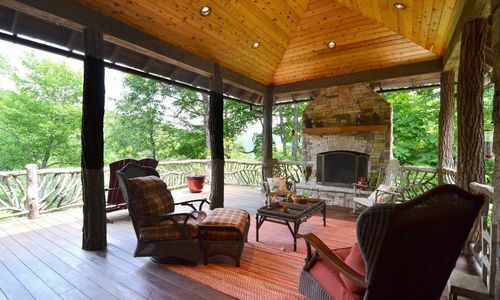 There is a wonderful covered porch with a stone fireplace for taking in the views or enjoying the cool mountain weather. 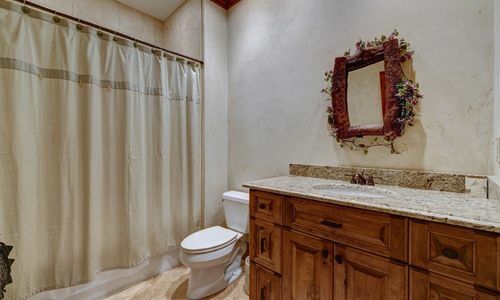 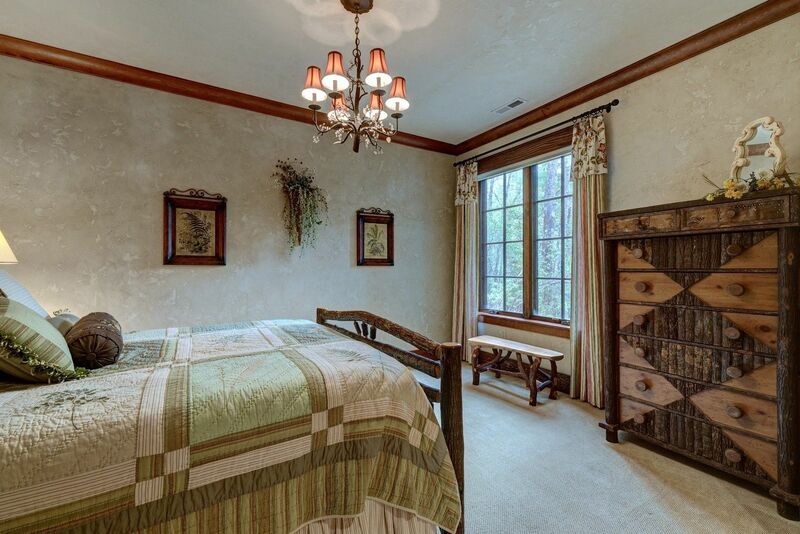 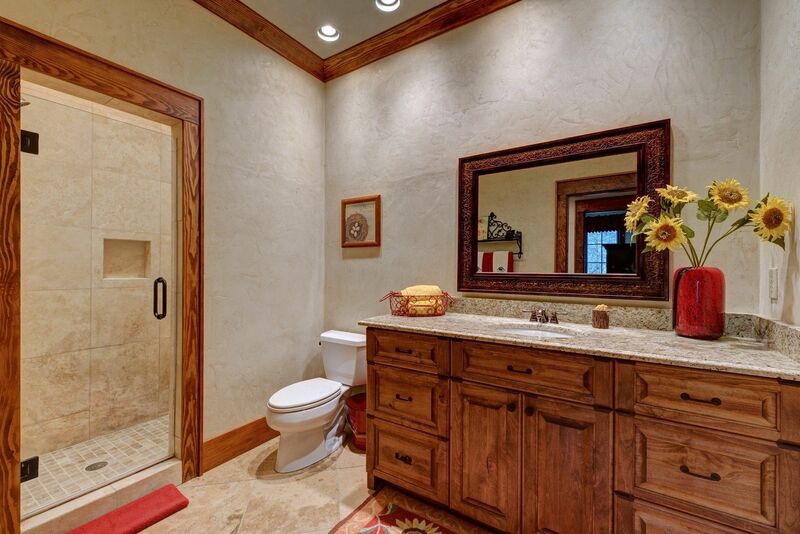 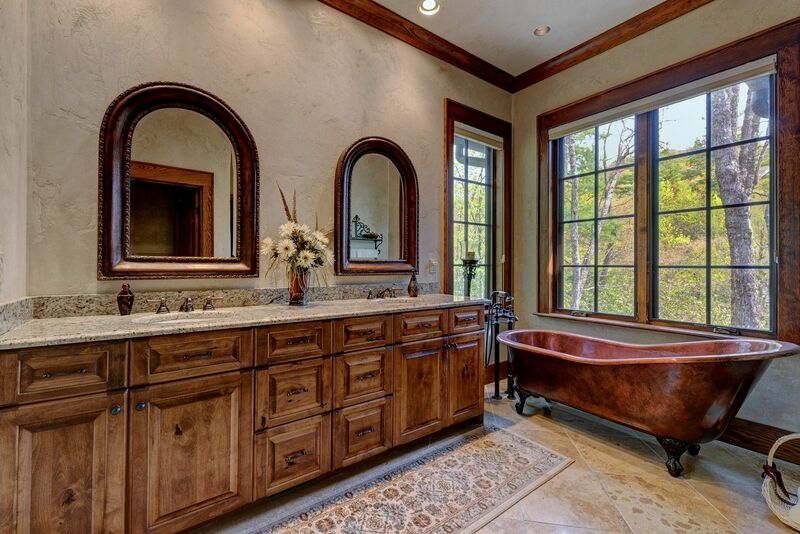 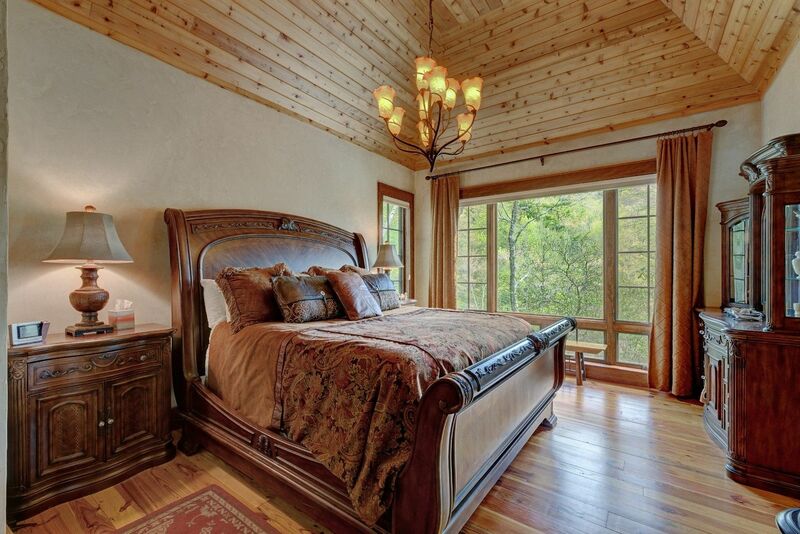 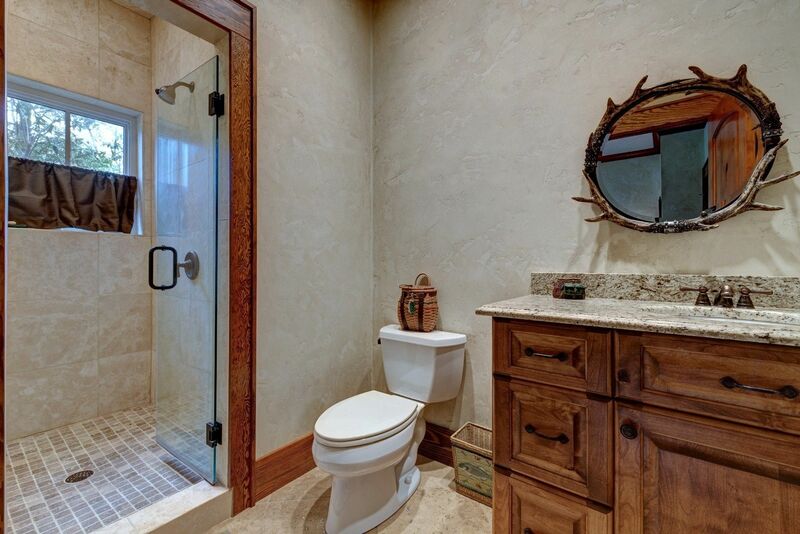 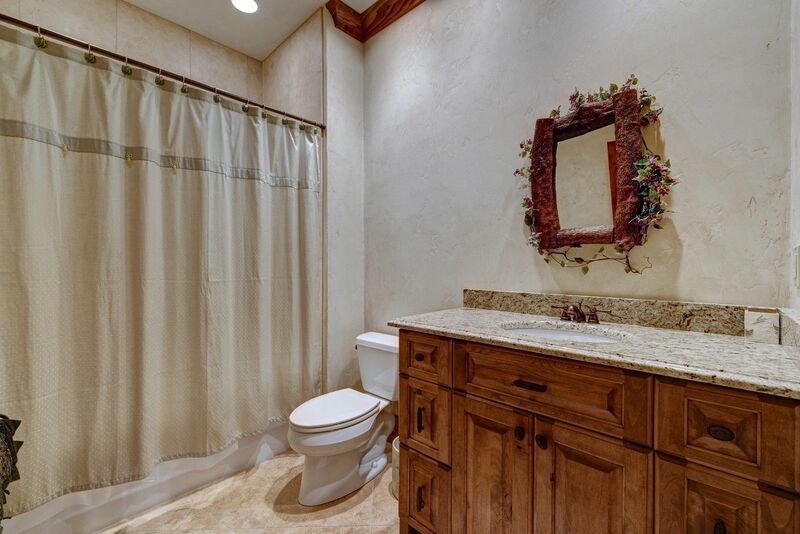 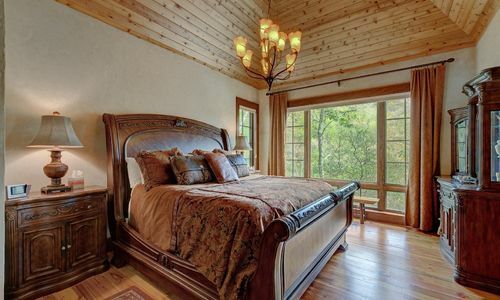 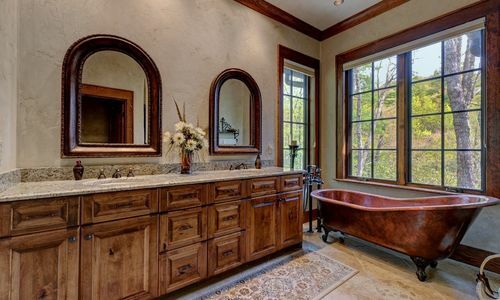 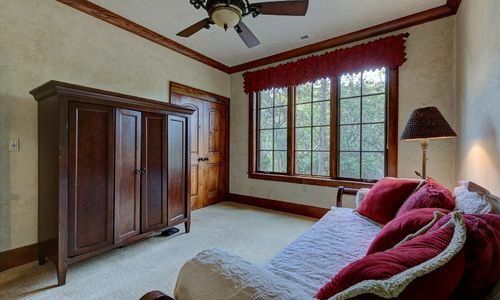 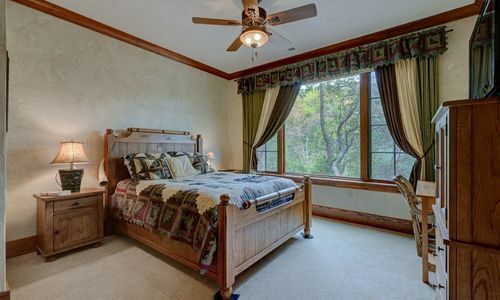 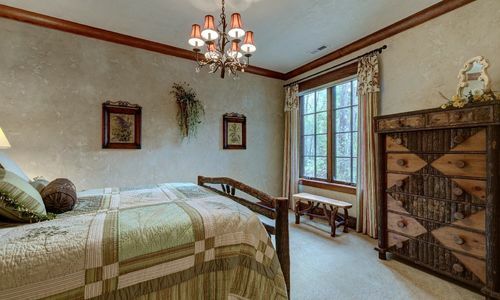 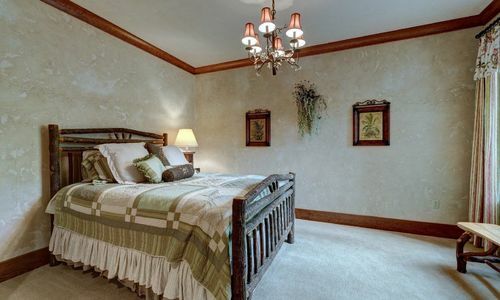 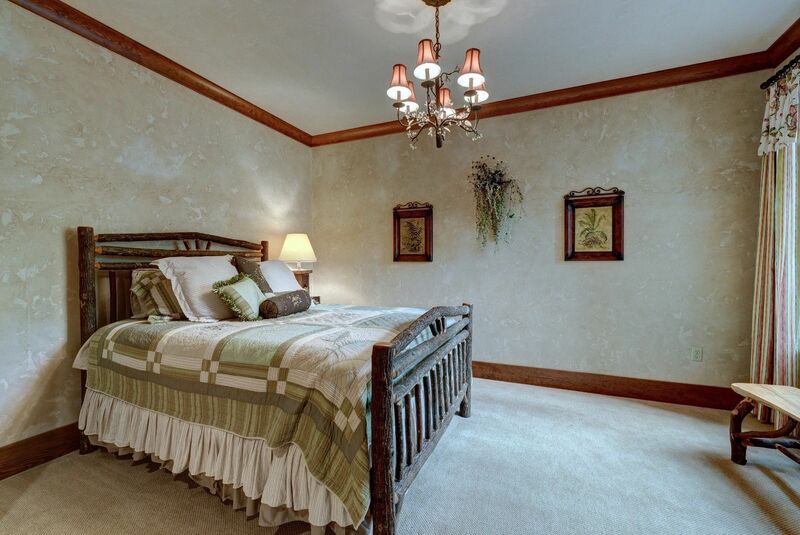 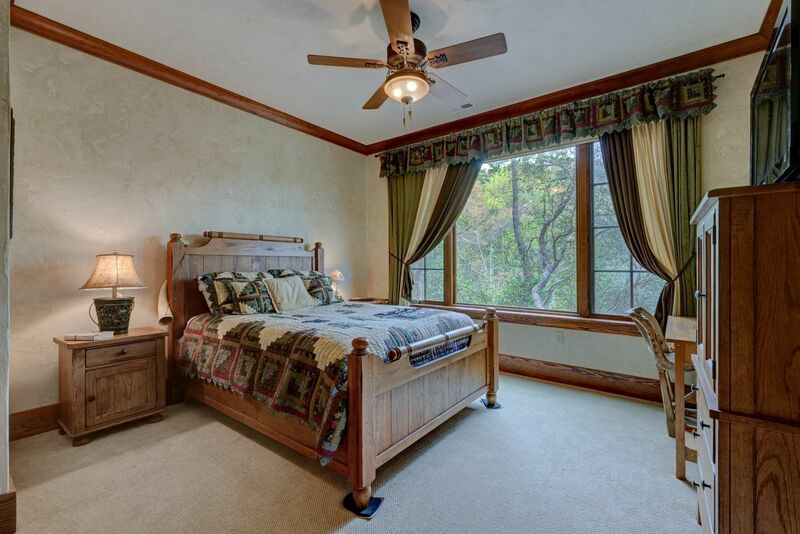 The master suite is spacious and bright with a sumptuous bath complete with a luxurious soaking tub. 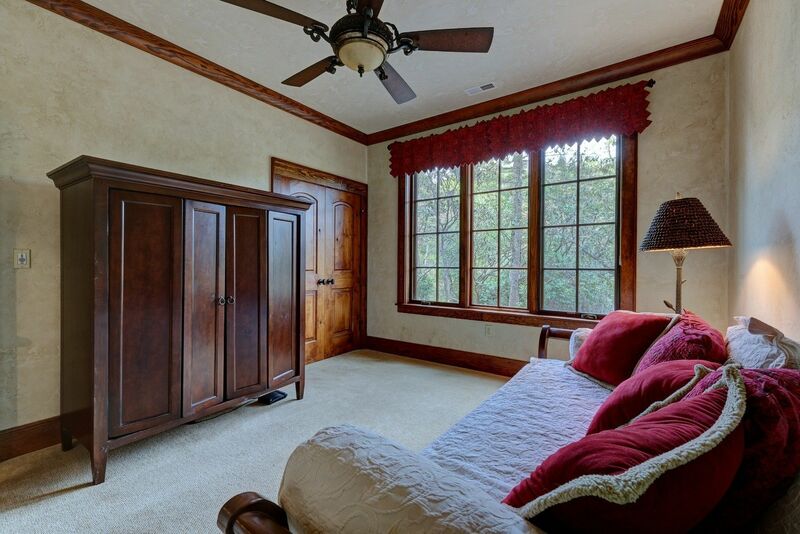 Your guests will have plenty of room with a guest suite on the main level as well as two additional guest rooms found on the lower level. 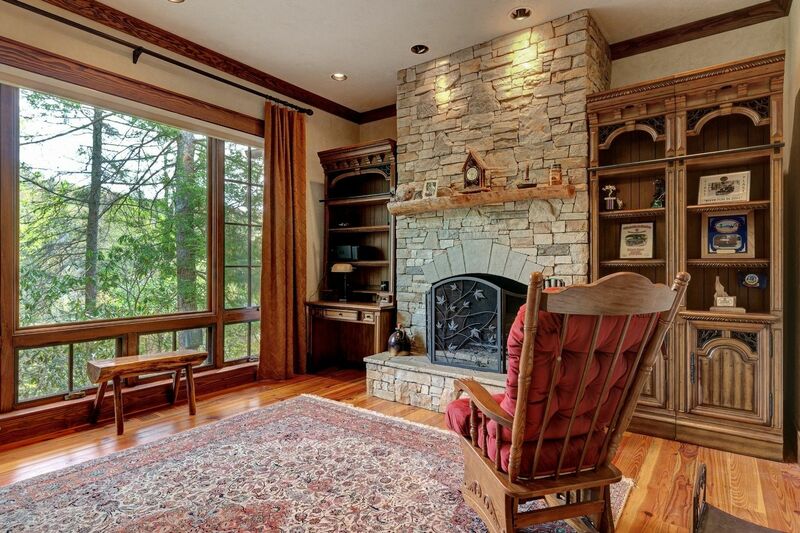 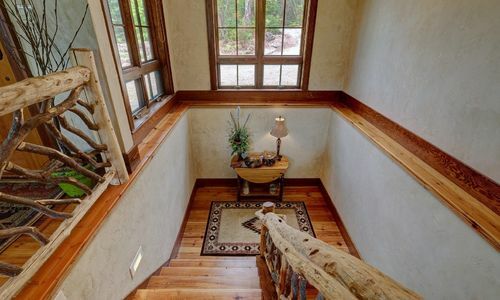 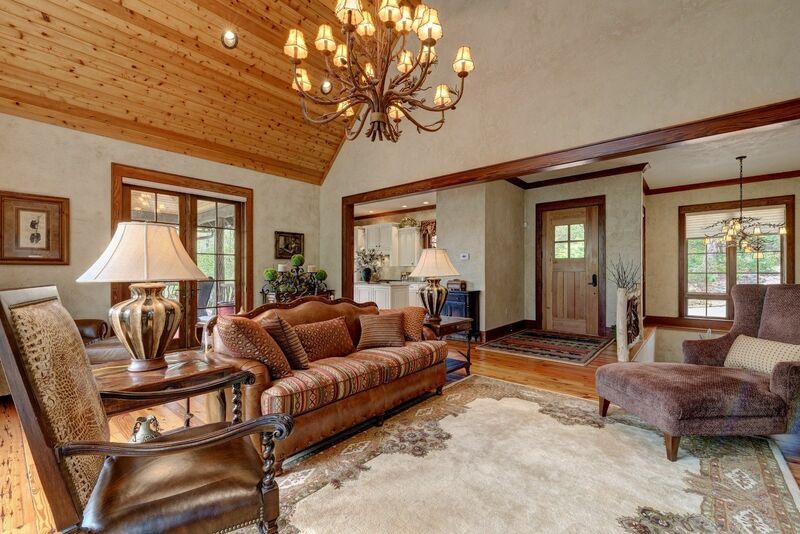 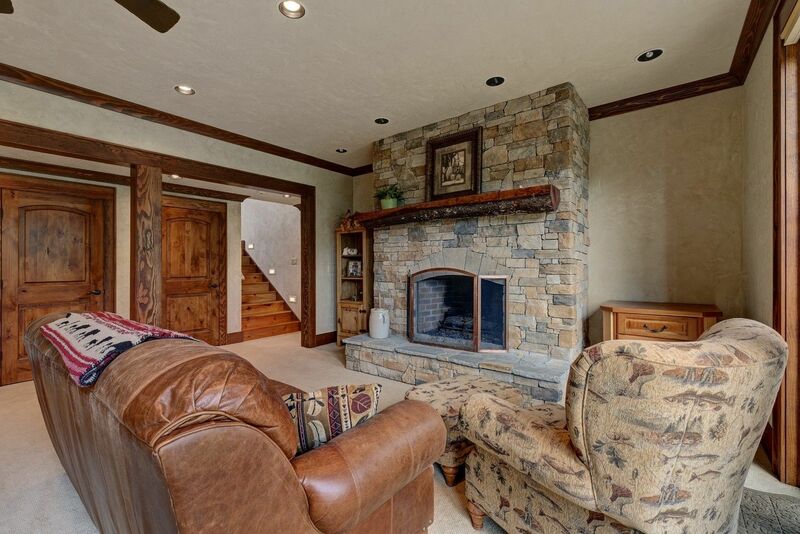 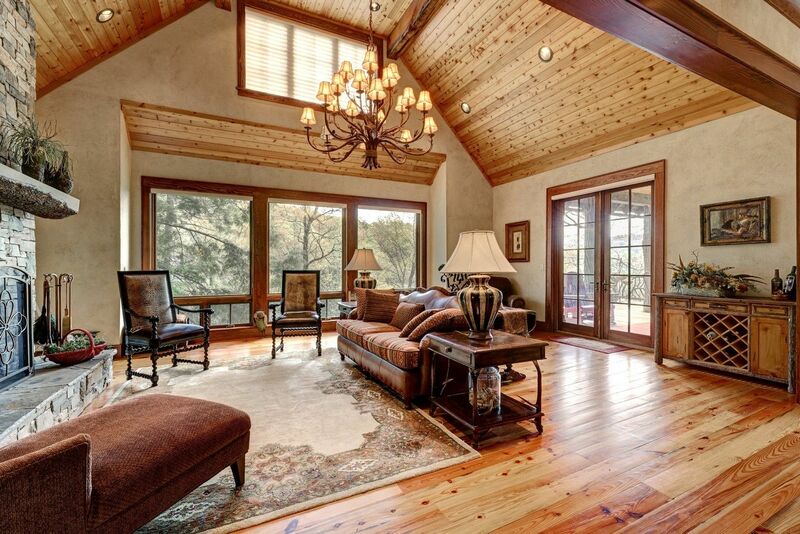 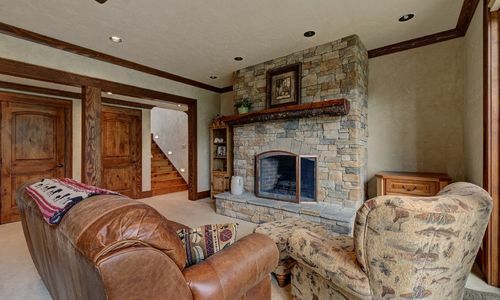 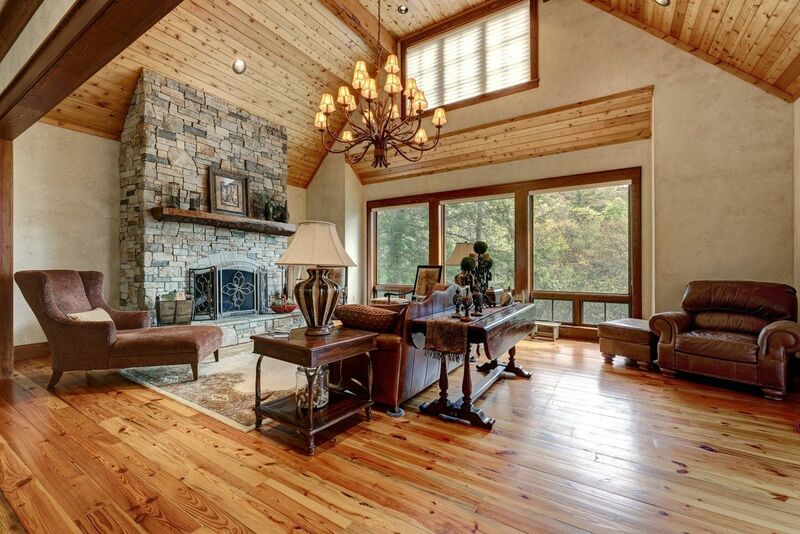 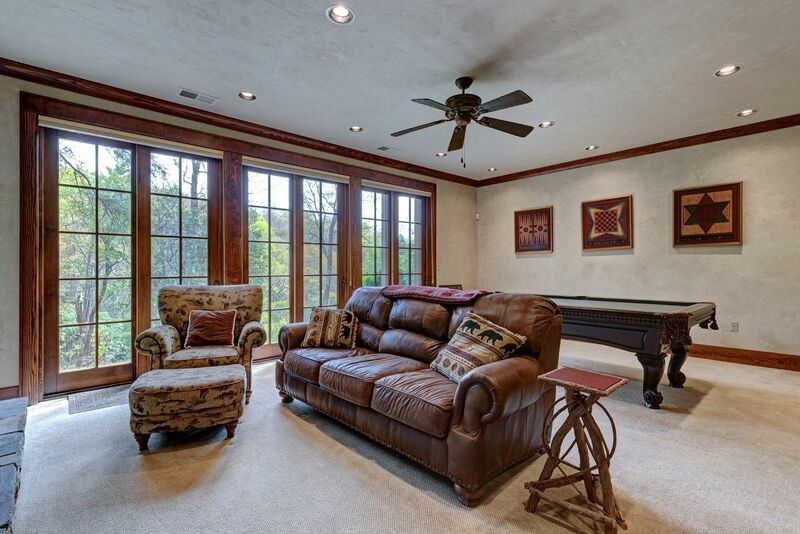 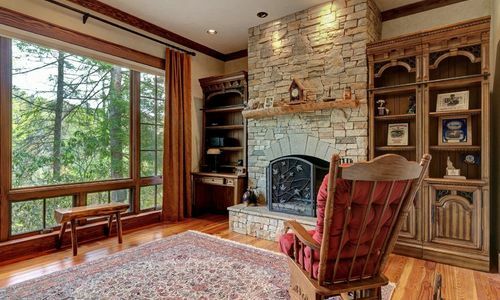 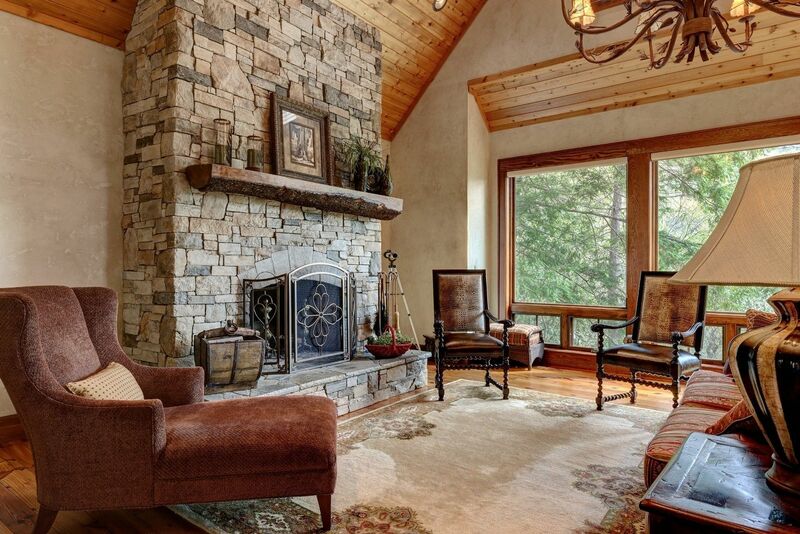 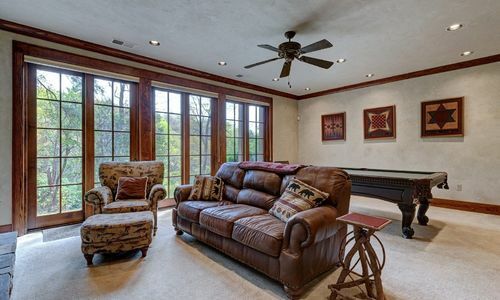 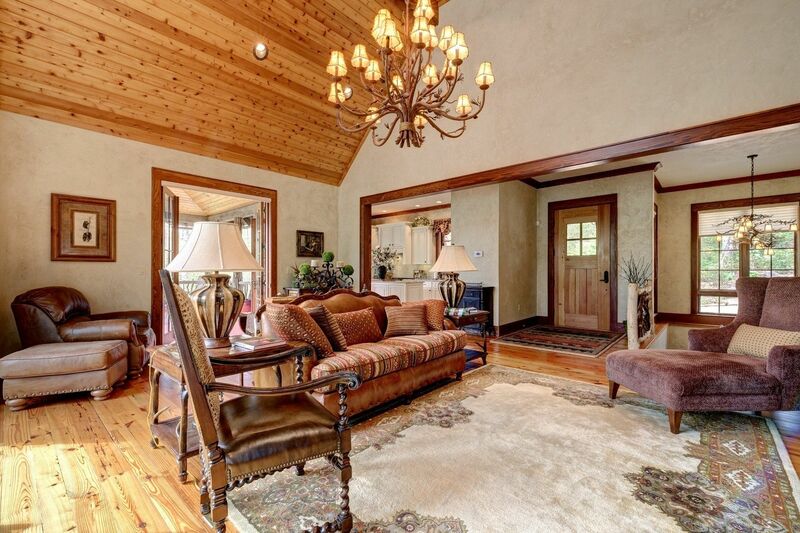 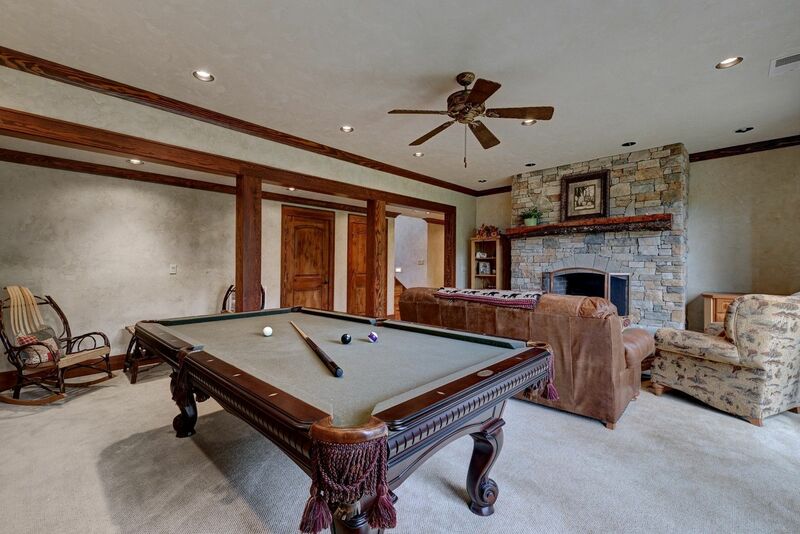 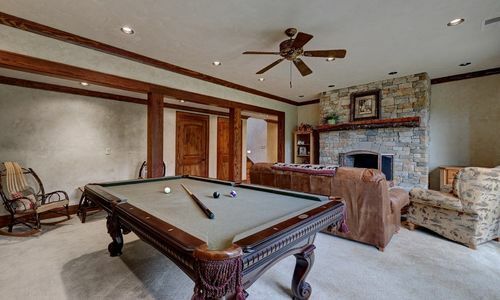 The lower level also features a family room with a stone fireplace. 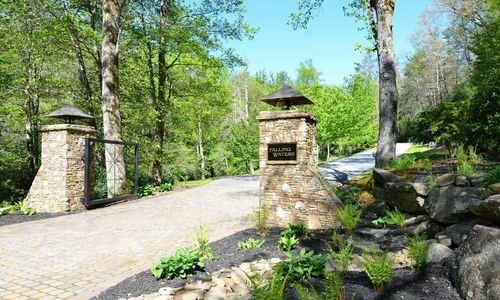 Only a short walk to year-round 24/7 private club with indoor/outdoor tennis, mineral pool, super gym and kitchen/dining room area. 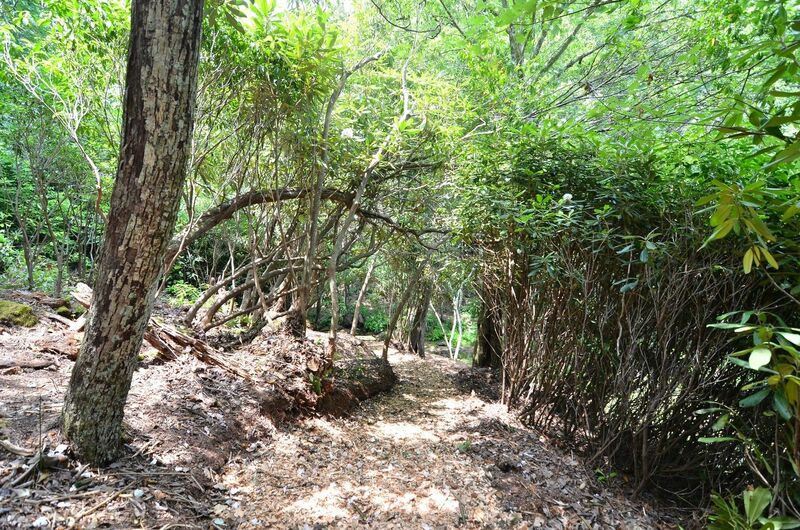 Also available for purchase are the 3 adjoining lots that are platted and buildable. 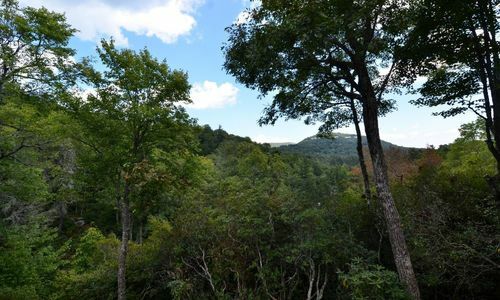 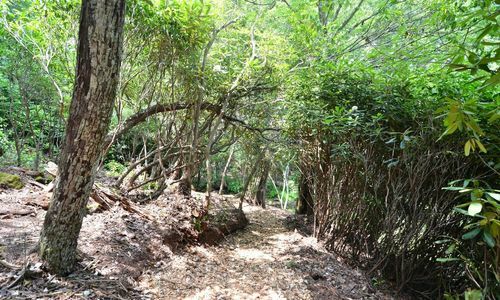 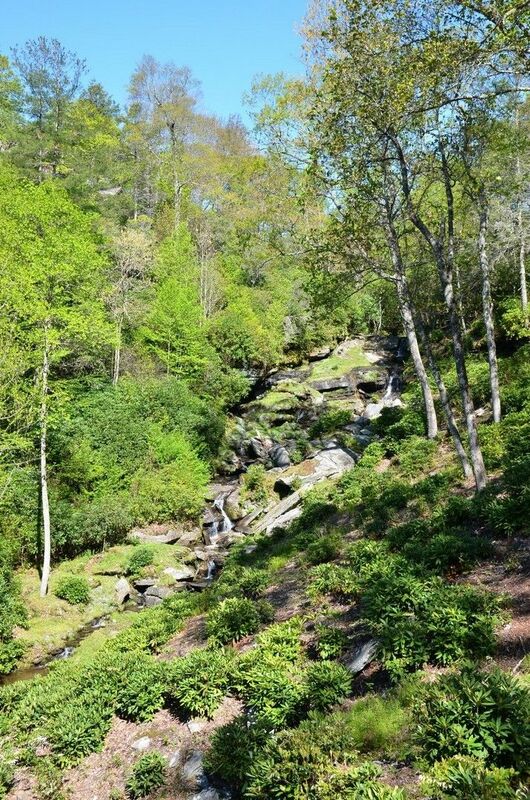 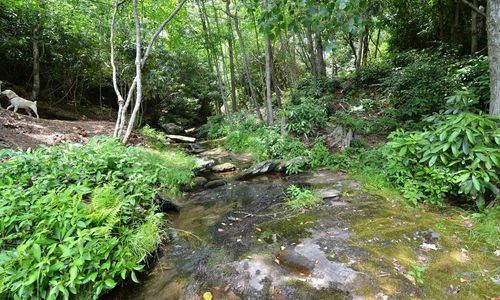 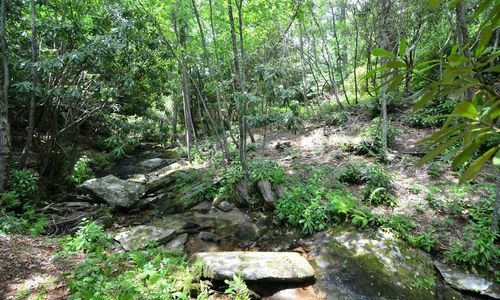 These lots are located at the end of the road and could be unified and gated for up to 5.2 acres or used to create an enclave of select neighbors or used for an investment.